Back in January 2010, I took a cab ride from my New Orleans hotel early that morning to the Musicians’ Village in the Upper 9th Ward. 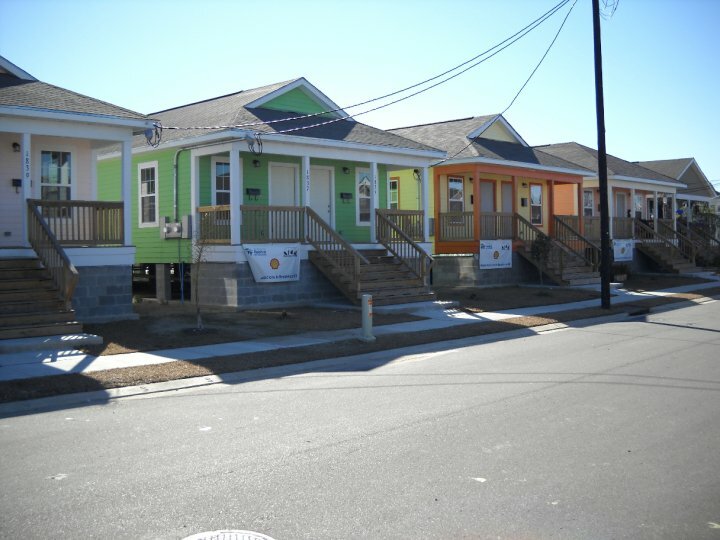 The Musicians’ Village is a community conceived by Branford Marsalis and Harry Connick Jr., to provide adequate housing for artists and musicians of the city who were displaced by Hurricane Katrina. Once the cab driver stopped telling me that it would be much “safer” for him to take me on a tour to see all of Brad Pitt’s houses rather than drop me off in the middle of what he called a “rough” neighborhood, he let me out and I was able to see this wonderful community. Of course it ended up being too early in the morning for me to catch any musicians out and about in the Village (as it should be…what decent working New Orleans musician is up and about at 9:30 in the morning?). I was, however, able to briefly talk to two men who were surveying a lot at the end of the block. 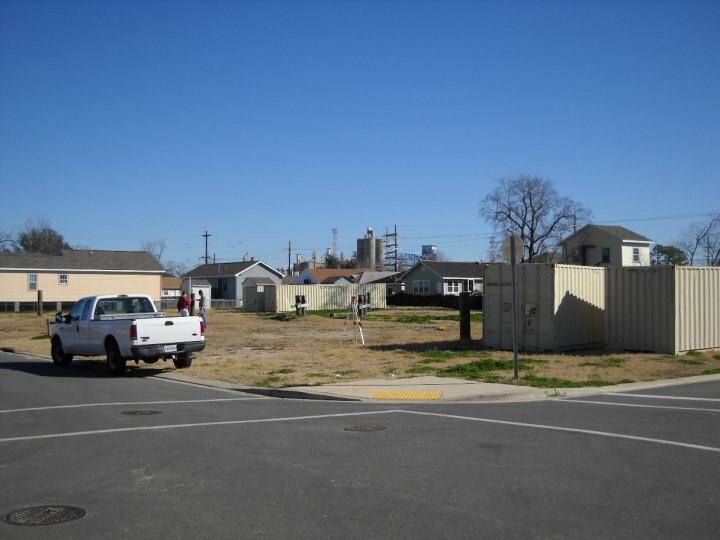 This was the site that would end up hosting the Ellis Marsalis Center for Music. 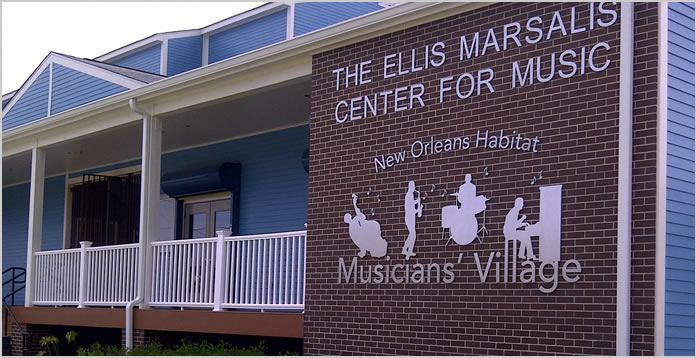 The Ellis Marsalis Center for Music opened on Thursday, hosting local residents, fellow musicians, supporters, friends and family for its grand opening, including Governor Jindal of Louisiana and Mayor Landrieu of New Orleans, and actress, Renee Zellweger. There was also a performance from Branford Marsalis and Harry Connick Jr., who played a major role in developing the Center as well as the Musicians’ Village (in partnership with Habitat for Humanity). 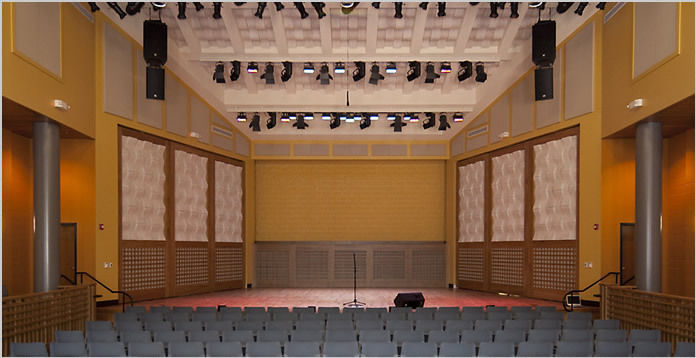 The Center is not only a performance hall, but will allow opportunity for local students and musicians to take advantage of recording space, classes, computers, and community rooms.